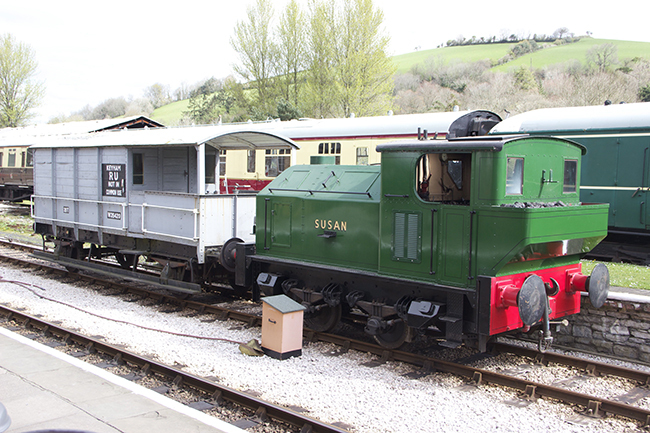 South Devon Railway - Sentinel Locomotive 'Susan"
Sentinel locomotive “Susan” has come from the Buckinghamshire Railway Centre at Quainton for its “10 year overhaul” including the wheels, axleboxes, boiler and main steam engine by South Devon Railway Engineering. The locomotive is unusual in that it has a vertical boiler and a ‘marine’ type steam engine which is connected to the wheels by a chain drive. The locomotive has been bought by John Buxton and when the work has been completed it will go to the Barry Tourist Railway.